Stran is a top 50 promotional products company that runs many eCommerce stores for a large variety of customers. 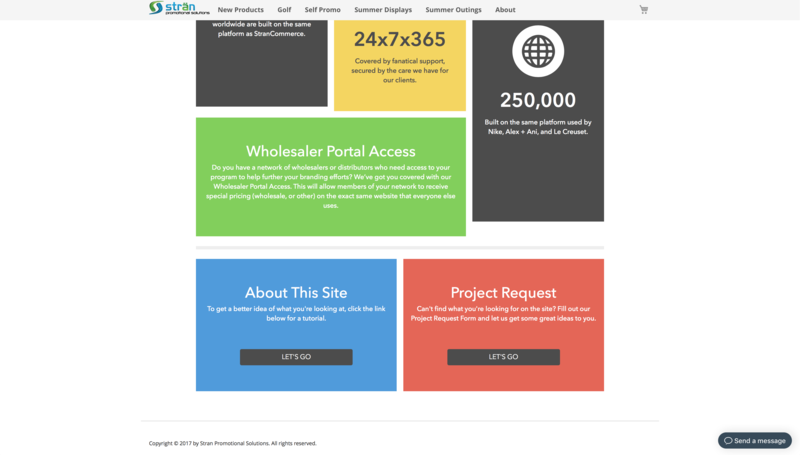 Trellis has helped Stran build out an incredible B2B eComerce Infrastructure on the Magento 2 platform allowing them to scale to more and larger customers than ever before. 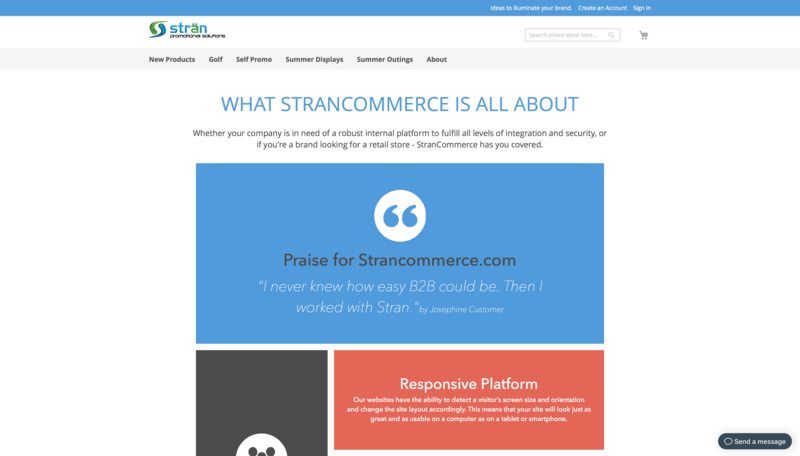 Stran had many clients on their legacy eCommerce platform and needed to move them to the new solution in a cost effective manner that was also not too risky. Their old platform lacked flexibility and was not a solution for the future. Trellis helped build out the Stran Commerce infrastructure to handle many clients as well as some very large fortune 500 clients with a custom experience. We optimized the multisite infrastructure for efficiency and ease of use from both a development and end customer perspective.